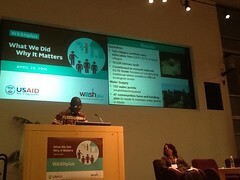 WASHplus was represented at WWW 2015 by Ron Clemmer, FHI 360’s new Strategy and Business Development Manager for WASH. Ron joined FHI360 in May after working with World Vision as Senior Technical Advisor for WASH for six years. Ron is passionate about building sustainable water and sanitation services through the public and private sectors, hygiene behavior change that becomes habit, and integrated programming of WASH with nutrition, HIV, neglected tropical diseases, education, and women’s empowerment. WASH and NutritionIntegration and Small Doable Actions. 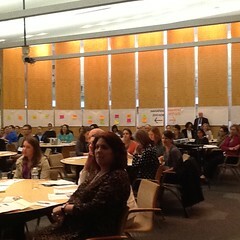 Ron Clemmer, FHI360/USAIDWASHplus. SuSanA WASH and Nutrition Working Group, Stockholm August 25, 2015. 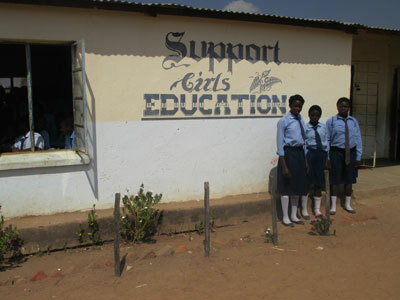 WASH in Schools Improves School Attendance and Community WASH Conditions in Zambia. 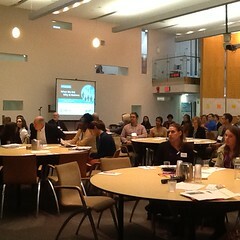 Ron Clemmer, Sarah Fry, Orlando Hernandez, FHI360/USAID WASHplus. SuSanA WinS Working Group, Stockholm August 24, 2015. You can also learn more about the sessions that Ron presented at, via a blog post “Diving deep into WASH and Nutrition,” authored by Hanna Woodburn, Acting Director, The Global Public Private Partnership for Handwashing. Also read Ron’s blog post “A Gender Dialog” about his takeaways from World Water Week 2015. Sarah Fry – What Does WASH in Schools Have to Do with Building Bridges? by Sarah Fry, SPLASH WASHplus Project, August 2015. That’s literally, not figuratively, building bridges. Two weeks ago I would not have been able to even understand that question, but today I have a story to share with you. First of all, hello from Zambia. As the WASHplus activity manager for the USAID funded activity called SPLASH (Schools Promoting Learning Achievement through Sanitation and Hygiene), I have been here since early July working with our team to see this activity to its end on September 30th. SPLASH began in early 2012, and since then has built over 3,000 school toilets, drilled, equipped or rehabilitated over 400 water points for schools, provided permanent handwashing and drinking water stations, and worked with teachers, the national government and local government to ensure that good hygiene practices and stronger systems for operating and maintaining school WASH facilities are put in place, and will stay in place. 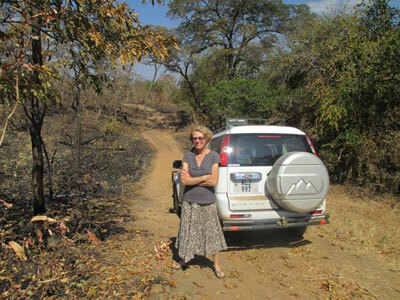 These activities have taken place in Zambia’s Eastern Province. Before SPLASH started, Chief of Party Justin Lupele and I went on a “Road Show” out to the districts, where we introduced SPLASH to the government officials and local committees and started to build ownership and participation. The last three years have been a whirlwind of activity – construction, training, community mobilizing, monitoring, publicizing, documenting. Justin and I thought that as the project nears its end, it would be good to go on another grand tour to get a solid sense of what has happened, what has changed, and maybe, what does it all mean. The only requirement we set was to not alert any schools that we were coming to visit. Zambia is a vast, not densely populated country. Visiting schools requires spending a lot of time in vehicles riding on rough and dusty country roads. These distances impressed upon me how much staff and building contractor time and effort it took to reach the schools to carry out SPLASH activities. Bumping along, I had a chance to think and look forward to what we would find. I certainly expected to see positive changes and improvements at SPLASH schools. However, nothing prepared me for the sea of change that unfolded before us as we made our way to about 20 schools, mostly rural, but a few urban ones as well. In 2012, we heard many complaints from schools about how communities were misusing their boreholes and denying any responsibility when they broke down. Now, every school has active WASH committee and pupil WASH Club and all are engaged in some form of joint school-community fundraising for maintenance and repair of the borehole. Handwashing after toilet use and before eating was a nearly universal practice by pupils, a habit acquired even if group handwashing hadn’t been inaugurated yet. A major achievement was the presence of soap at almost all handwashing stations – stealing soap is a thing of the past, we were told, because pupils want and like to wash their hands. Through the WASH Clubs peer education, they feel that the stations and the soap belong to them. Going beyond peer education, some WASH Clubs are visiting local health centers and performing hygiene skits and poems for women gathered for pre-natal and under-five clinics. In addition, Teachers were delighted with drinking water stations close to the classrooms because time away from lessons was reduced. Possibly the biggest change was the universal acceptance of Menstrual Hygiene Management (MHM) as a necessary and welcome part of the school program. Zambia, like many African countries, has taboos, myths and restrictions around menstruation, which is almost never discussed openly. Facilities and support for menstruating girls in schools is nearly absent, causing girls to stay home and miss weeks of lessons during the school year. Girls at SPLASH schools were thrilled with their beautiful washrooms –shower/toilet structures built to accommodate MHM. However, no one had anticipated the envy of the boys, who are now demanding their own washrooms to clean up after sports. MHM has entered into the vocabulary and into the culture, to the point where one WASH Committee was holding pad making parties for the girls, but then headed out into the community to distribute them to women in need. The taboos around menstruation seem to have melted away. While the news from schools is very good– and we will soon be able to quantify what kind of effect SPLASH had on the schools the – we encountered even more good news during this visit, outcomes that I can only call “unexpected consequences” of WASH in schools, and that frankly, I was unprepared for. The big apparent message is that WASH in schools can lift an entire community up and can bring about changes that were previously not possible. Launching SPLASH with School Led Total Sanitation “triggering” shifted social norms in surrounding communities around open defecation practices to such a degree that we heard of headmen ordering all households to build latrines or pay a fine! Over a thousand household latrines have been built as a result. 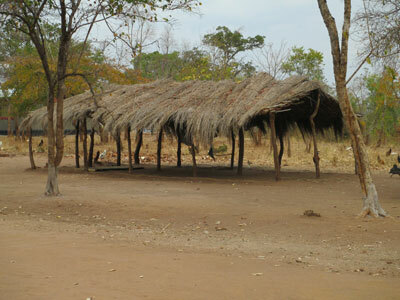 In one school receiving a water point, a new classroom block was built where previously there was only a thatched shelter. 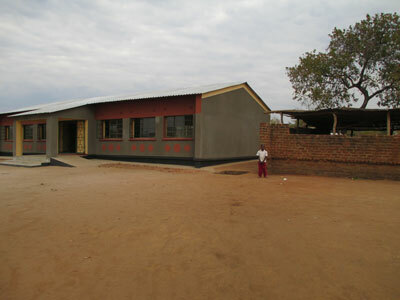 Teachers’ houses have gone up, and a new water source at another school enabled a clinic to be built nearby. Every single school stocked soap and toilet paper – a miracle right there – and consequently local shops were seeing a rise in sales of hygiene products. Some schools have a “one child one bottle” policy, leading local businesses to stock up on drinks to satisfy the demand for bottles. One of the best “unexpected outcome” is the engagement of artisans in building the latrines and washrooms, and who, in the process, have gained marketable skills. They have found work on road crews (may the work be speeded up!) and other local construction projects and in one case were solicited by a health center next to a school that has decided to build an exact replica of a SPLASH toilet. Leading the parade of successful new entrepreneurs is the ex-SPLASH artisan who proved so competent that once the latrine construction was done, he was hired to oversee the building of a new bridge. And that’s what WASH in schools and building bridges have in common!